Advice for older veterans returning to college. I will soon be 60 and have returned to school to get a Master's degree in Psychology as I could not get a job here with a BA and compete with younger people. I have used up my GI bill (Vietnam era Navy vet), received a loan for money for school, but have to live off of that as well as I cannot work and go to school at the same time. I have two As and will probably get one in statistics (my third course) as well. The school told me I could apply for another loan, but now I am told I cannot. I am enrolled in a very intense online program and need help. I was recently diagnosed with skin cancer, but do not know how bad it is yet and have other health issues as well. I still desperately want to work, even though I am helping two other women with severe cancer issues (one will move in with me since she has no insurance) and going to class and devoting my life to getting good grades; this education does take time and dedication to do right. PLEASE help me! I have always helped others, raised three children alone and even through severe hardships, kept going. How do I get money now??? — P.E. You are to be commended for your service to our country and all that you continue to do to help others. Aside from federal veterans education benefit programs like the GI Bill, there are several private scholarship programs for veterans. When completing a scholarship search profile on Fastweb, edit the profile via the link in the top right corner of the page to specify your military service background. There may also be resources on Military.com that can help you. Good resources include the Veterans Support Foundation, Vietnam Veterans of America and the Tillman Military Scholars program. Contact the VA to ask about disability benefits. Depending on the type of cancer, Vietnam veterans may be eligible for disability compensation for certain service-connected diseases. Skin cancer is not currently one of these diseases, but there has been some research linking Agent Orange exposure to higher risk of melanoma, so this may change. The FinAid site publishes a list of cancer scholarships. Financial aid for treatment and medications, as opposed to financial aid for college, may be available from the Patient Advocate Foundation, NeedyMeds and the Partnership for Prescription Assistance. As a general rule, undergraduate and graduate students should borrow no more for their education than their expected annual starting salary, regardless of age. If total education debt is less than the borrower's annual income, the borrower will be able to repay the debt in about 10 years. If total student loan debt exceeds annual income, the borrower will struggle to repay his or her student loans. Students who are in their 50s and 60s should be especially careful to borrow no more than they can afford to repay in 10 years or by retirement, whichever comes first. Student loans do not disappear when the borrower retires and there's no new income after retirement to help repay the loans, just retirement and disability benefits. A report by the Federal Reserve Bank of New York found that 11.8% of student loan borrowers with outstanding student loan debt are age 50-59 and 5.3% are age 60+. The average debt is about $21,300 for people age 50+ and about $18,600 for people age 60+. One can infer from the Federal Reserve data that about 6% of people age 50+ and 3% of people age 60+ still owe money on their student loans. Some online colleges may steer students toward private student loans, which are often more expensive than federal student loans. Older students who choose to borrow to pay for college should borrow federal first, as federal education loans are not only cheaper and more available than private student loans, but they also have better repayment terms. In particular, income-based repayment is available for federal student loans but not for private student loans. Income-based repayment can yield an affordable monthly payment, especially for borrowers who are retired or who will be retiring soon. Federal student loans for graduate school include the unsubsidized Stafford loan and the Grad PLUS loan. While an online college may be convenient, it may not be the least expensive option. Shop around. A local public college, for example, may offer special discounts to students who are retired or close to retirement. Even if a student in his or her 60s is planning on working well past the normal retirement age, it isn't always possible to do so. Health issues can sometimes get in the way. A more practical solution may involve searching for a better job, rather than going into debt for an education that may not pay off, given the limited remaining work-life. When applying for jobs, Vietnam era veterans should inform the employer about their military service. 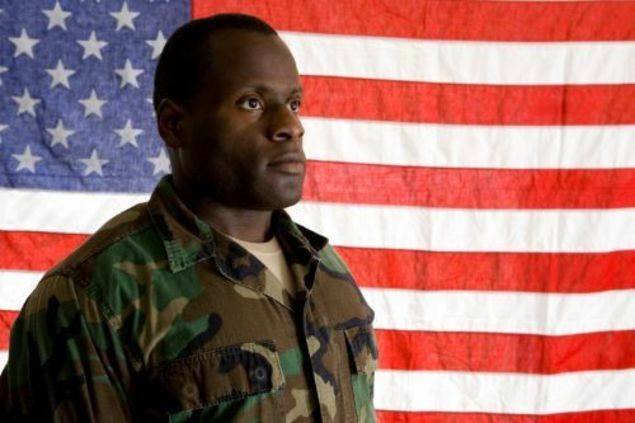 See the US Department of Labor's Veterans' Employment and Training Service (VETS).